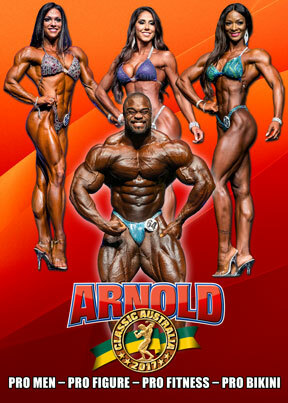 The contest saw a first time ever Arnold Classic victory for a greatly improved BRANDON CURRY from USA. This was the third IFBB Arnold Classic Australia event. See every round of the PREJUDGING for each PRO class through to the routines, exciting posedown and all awards at the FINALS. Plus the Dallas McCarver interview.